After a rocky trade from the Los Angeles Lakers and four uneventful months with the defending NBA Champs, the Dallas Mavericks will put Lamar Odom on the shelf for the remainder of this year. Read more here. In 1947, one of the most important events in American History occured. 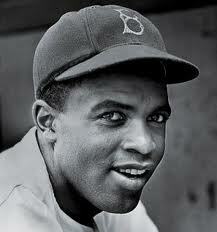 Jackie Robinson was the first African American to cross the color barrier and play professional in the Major Leagues. Many historians will tell you that Mr. Robinson was not the best black ball player, he was simply the most “ready” to deal with the scrutiny that was sure to follow this courageous act. In 1975, as many as 27% of all MLB players were black. Today that number is at about 8%, down from 16% just a decade or so ago. What happened? Why are fewer and fewer African Americans playing the game of baseball? The same sport that was dominated, by Jackie Robinson, Reggie Jackson, Dave Winfield, Doc Gooden and others is now a shadow of itself to this generation. Do we blame this generations lack of attention span on what some would call a “slow and arduous” game? Or maybe its basketball and footballs stars like Michael Jordan, Kobe Bryant, Michael Vick & Lebron James demanding urban kids attention. Or is it the business decision made by MLB to use their recruiting resources in 3rd World countries instead of the urban centers like New York, LA and Chicago? 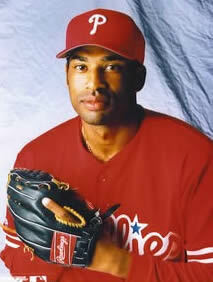 This week we will have Former Major League Pitcher Wayne Gomes (First Round Draft pick Philadelphia Phillies ’93) of the Virginia Baseball Academy (http://www.virginiabaseballacademy.com/). Also we will have James Ammons, Jr. Former FAMU Rattler and front office employee of the ATL Braves, Tampa Rays, Houston Astros, and Pittsburgh Pirates. We will dig into this topic with two guy who have loved baseball all their lives and are doing their part to keep baseball alive among the youth. Well finally the day has come. LB23 returns to the city that made him who he is. To the place where his dreams of playing in the NBA were achieved because of the wonderful people of Cleveland and the surrounding areas. The place where he was on his way to multiple championships and a legacy that Magic Johnson, Michael Jordan, Bill Russell, and the logo, Jerry West himself would envy. The place where he should be thankful that they embraced him in such a way that only a fool would leave. Really? Is that what Cleveland was to Lebron? The truth is that on a national level, Lebron did a lot more for Cleveland than they did for him. Truth is that Lebron was one of the first players that actually drew a national TV audience as a high schooler. Before Lebron, it was not normal to have a national primetime TV game featuring A prep star that was not a McDonald’s All-American game. I remember watching Lebron in that game with the tape over his tattoos in the Irish jersey and I immediately agreed with the scouts. He was the real deal. The only thing he missed (which is what he still misses), is a consistent jump shot. Other than that, he was the complete package. He was a redefining package. A wing player with the raw skill of Jordan, with the combination of size and passing ability of Magic. Other than that tangible jump shot, he lacked one intangible thing he missed that Jordan and Magic had and Kobe has is a killer instinct. This is the attitude that Jordan would use to motivate him to drop 50 on the Knicks, or destroy the Pistons, because they thought they had rules that effectively stopped him. Lebron’s well managed demeanor is the reason the people of Cleveland and the media feel they can push him around. 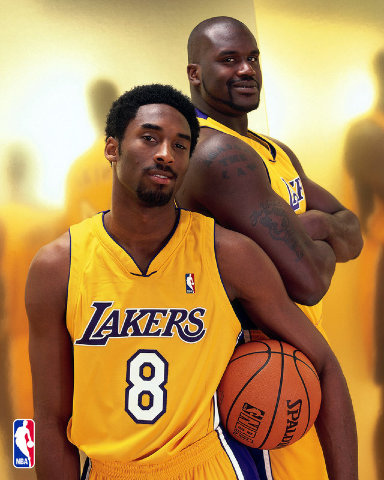 Lets not forget, that in 1996, without nearly the fan far, Kobe Bryant shunned the Charlotte Hornets, for the Lakers. Who was he to make such a demand? He was the 13th pick and largely unknown. Kobe was well groomed and we didn’t even know it. He went to a team where he was questioned as a starter and was the percieved “2nd” option for the first half of his career. He was the son of a former NBA player who was groomed to develop his own image, brand and legacy. Although, Lebron and his business “team”, have done an excellent job of managing his brand, they still need some work when it comes to his image and legacy. Funny thing is that it is because of his loyalty to the very people who “loath” him now, that he took this step back. Truth is, Cleveland is not managed like franchises like the Lakers, Yankees, Patriots, Cowboys or Celtics. 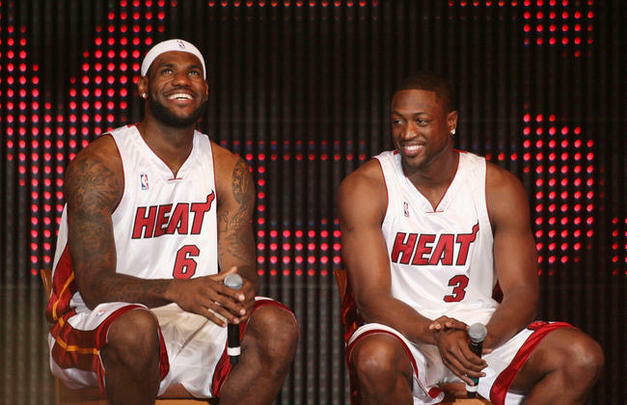 Prior to Lebron, they never truly had a franchise that raised above the level or respectability of the Atlanta Hawks, Toronto Blue Jays or Cincinnati Bengals. Teams that have periods of excellence but mostly middle of the road to bottom dwellers year to year. Truly not since Jim Brown, had the nation been so focused on the city of Cleveland sports. What they got from LB23 is 7 years of relevance, not to mention years of profitability for their ownership group. What does he get for his service? Total disrespect from the fans and the ownership of the team. In spite of all that, all you hear are the media and the people of Cleveland, questioning his character and loyalty. Honestly, I expect that from the drunk fans in the nose-bleed seats, but not sensible fans of any reasonable level of intelligence. With that being said, the fact that Lebron has been relatively subdued in his response to all of this experience is to be commended. No wonder though that LB23 is making his list and checking it twice of all the people who have disrespected him. Whether they win or lose tonight is relatively insignificant. I’m just glad it will be over.